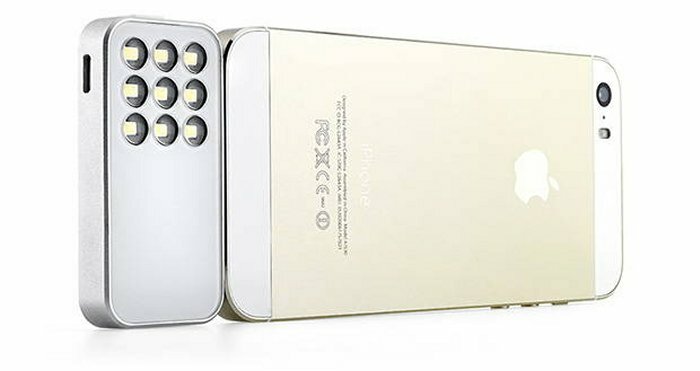 Smartphones do some amazing things these days, but the flash units on our smartphones can’t be compared to cameras with dedicated flash units. They tend to be overly harsh and unflattering, leaving you missing a good shot. There are plenty of flash accessories for mobile devices, but if you are still looking for a good alternative, Knog’s Expose might be the one for you. It has all the right features. Knog is an Australian company known for creating flash units for mobile devices, and the Expose is their latest creation, so it should be a good one? The Expose is a flash unit that is small enough to clip onto your keychain so you will always have it with you when you need it. It also comes with an accompanying app that allows you to toggle between different modes, like flash, strobe, continuous, etc. Users will also be able to adjust the white balance and brightness using the app. This device pairs with your smartphone via Bluetooth and has 9 LEDs that can output 130 lumens. You can use the flash for about an hour before you have to recharge, so it is truly a handy device. The device will be available for sale in the next few weeks and will cost you $60. That’s not bad for a decent flash solution.